Miso (味噌), fermented soybean paste, is made from soybeans, grains (steamed rice or barley), salt, and koji culture (麹, a fermentation starter). It is left to ferment in cedar-wood kegs at ambient temperature for six months to five years. 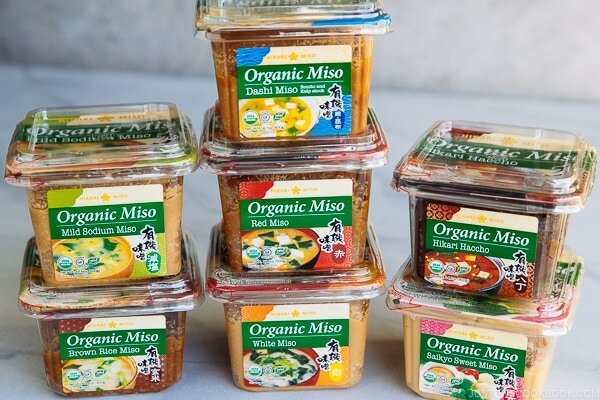 The different colors of miso types are indicative of the different ratio of soybeans and rice used to make the miso and the length of the fermentation period. The longer the fermentation, the darker and richer the miso is. 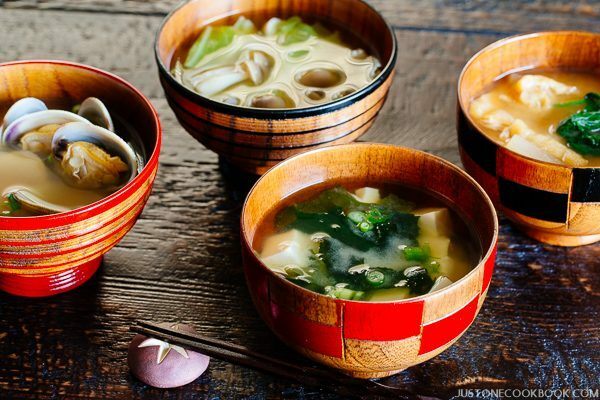 The taste, aroma, texture, and appearance of miso all vary by region. 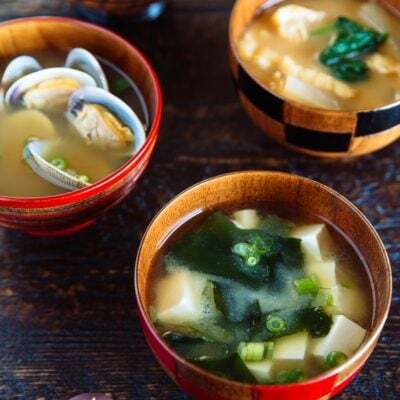 Miso is usually categorized by 3 factors: ingredients, color, taste, and regions. It is made from soybeans, salt, and rice koji (米麹), and the majority of miso sold here in the US and Japan is this type. It is made from soybeans, salt, and barley koji (麦麹), and has a very dark color and quite salty but very rich taste. Barley miso is naturally fermented from one to three years. These days this type of miso is not as popular as before. 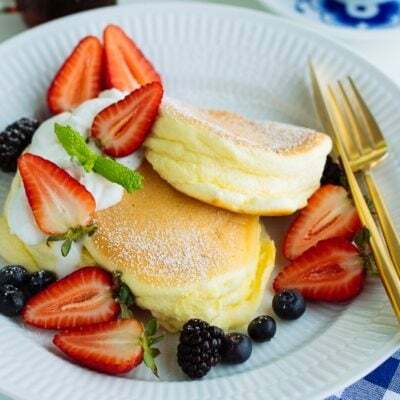 It is used in southern parts of Japan. It’s used for seasoning rich soups, stews, beans, sauces and spreads. Soybean miso is only made from soybean, salt, and the koji produced from soybeans. A special type of soybean miso is Hatcho Miso (八丁味噌). Hatcho miso has a distinctive soybean flavor and slightly sweet aroma. 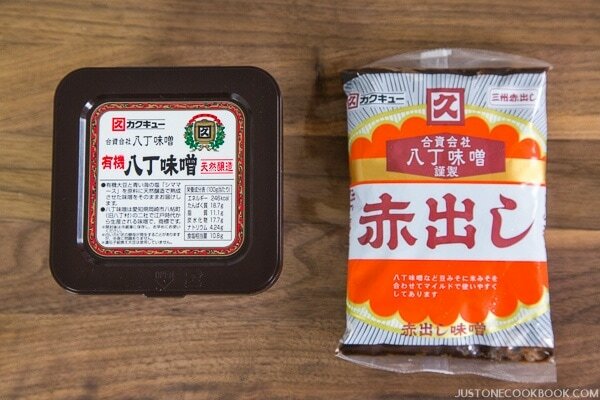 Hatcho miso should be aged for at least 16 months and it is reddish-brown, somewhat chunky. It’s used to flavor soups and sauce. It is made from about 70% soybean and 30% rice or barley. The long fermentation period (about 1 to 1.5 years) produces darker colored, strong and salty miso. It contains about 13% salt by volume. 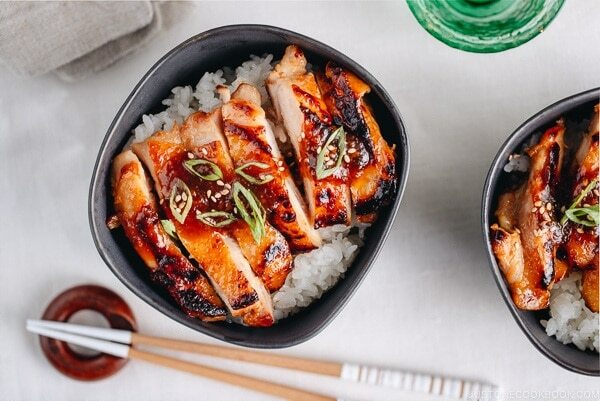 Red miso contains the highest levels of protein of all types of miso. 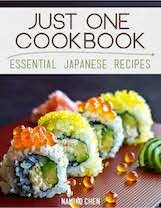 Recipe suggestions: stir-fries, miso soups, and stews or to make marinades for meat, chicken, and vegetables. 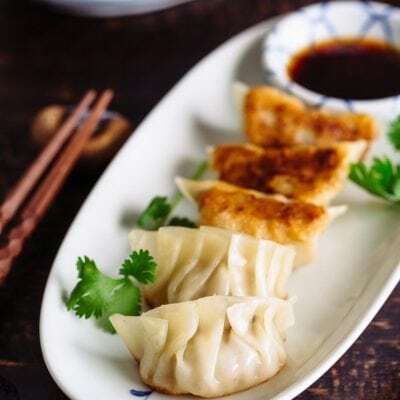 It is made from about 40% soybean and 60% rice or barley. It is a yellowish beige color and the fermentation period is shorter than for Red Miso. 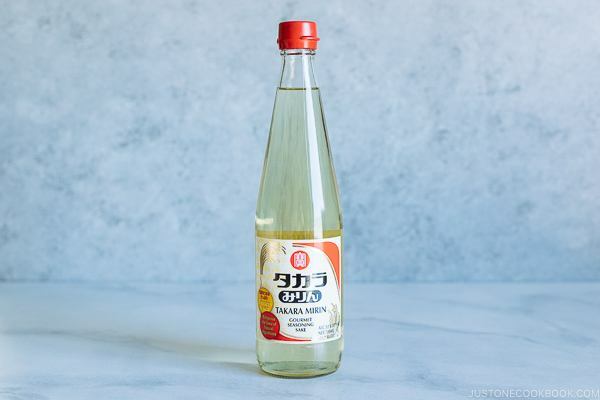 White Miso is slightly less salty and less robust in flavor than Red Miso. 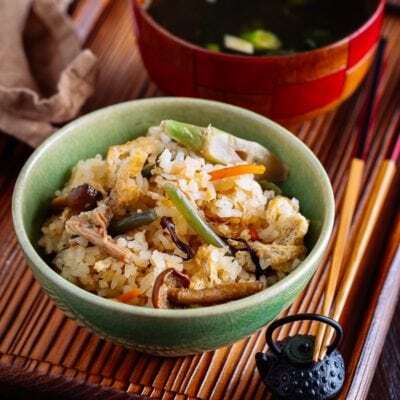 Of all miso varieties, the white miso contains the most carbohydrates and therefore tastes the sweetest and the texture is very smooth. 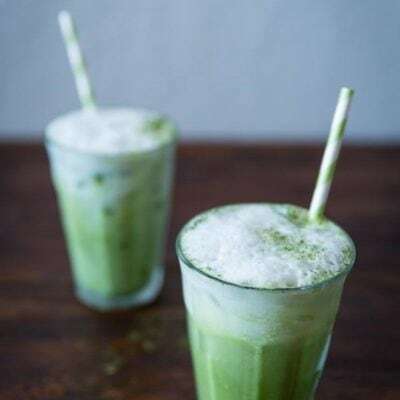 Recipe suggestions: light colored soups, salad dressings and marinades for fish. 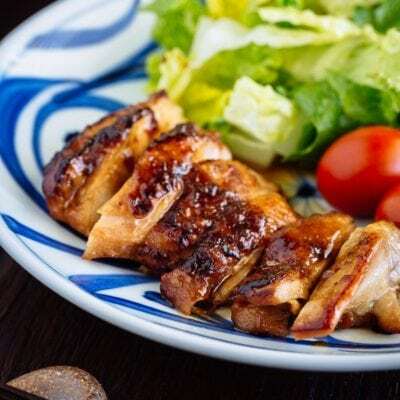 It is a combination of Red Miso and White Miso and it’s all-purpose. 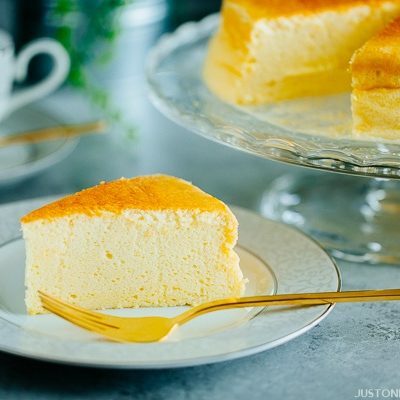 The taste of miso is usually categorized into sweet (Ama Miso 甘味噌), mild (Amakuchi Miso 甘口味噌), salty (Karakuchi Miso 辛口味噌) based on the ratio of salt and koji used in miso. This is my favorite type of miso. 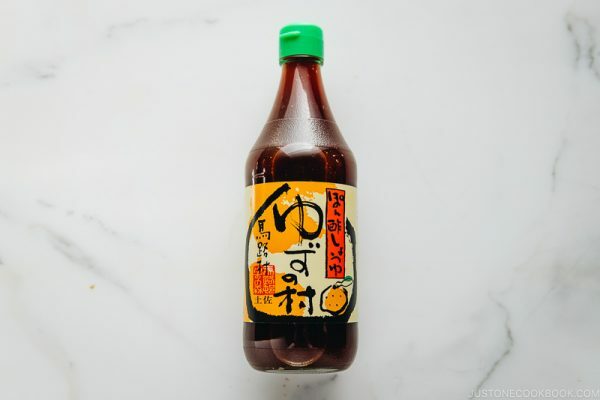 This miso is made with large quantities of koji, producing miso with a sweet and mild taste, a chunky texture, deep aroma, and rich flavor. Koji miso can be made of rice, barley, or soybean, but the ratio of koji used in miso is higher and koji grains are still visible. 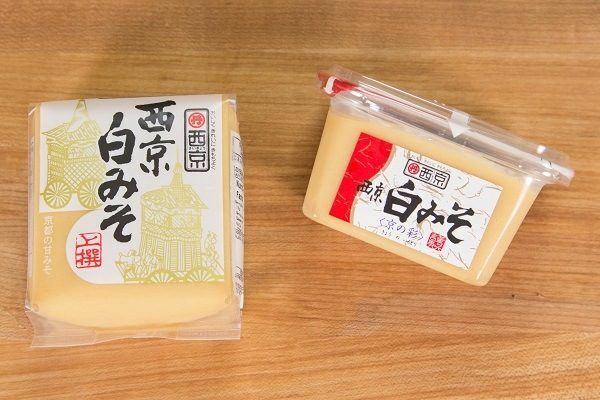 Saikyo Shiro Miso has a light beige color and a distinctive sweet flavor. It’s sweet due to its low sodium content (about 5-10%). 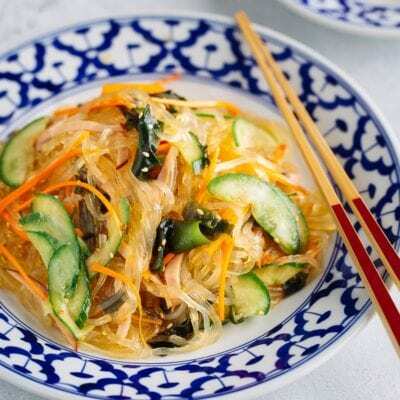 It’s made with more rice and fewer soybeans with a short fermentation period. 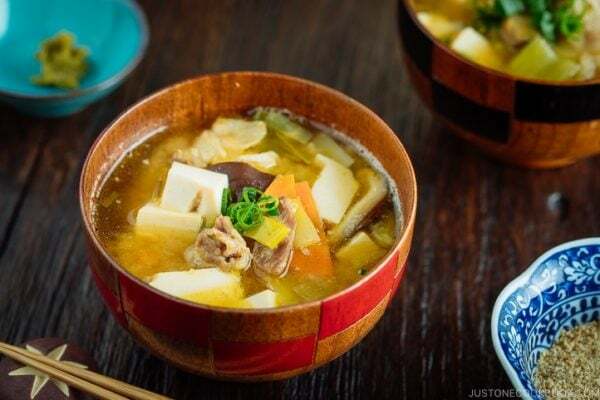 Because of its mild flavor and less saltiness, it’s used to marinate fish and vegetables (Saikyo Yaki) and make a special New Year’s Soup called Ozoni (Kansai style). There is no appropriate substitute for miso. 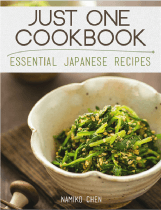 You can keep the miso for up to one year in the refrigerator or freezer. 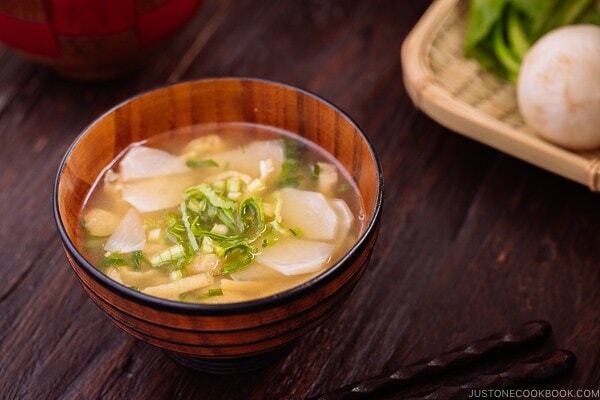 Miso is used mainly in soups (miso soup) almost every day but it is also used to season many dishes. 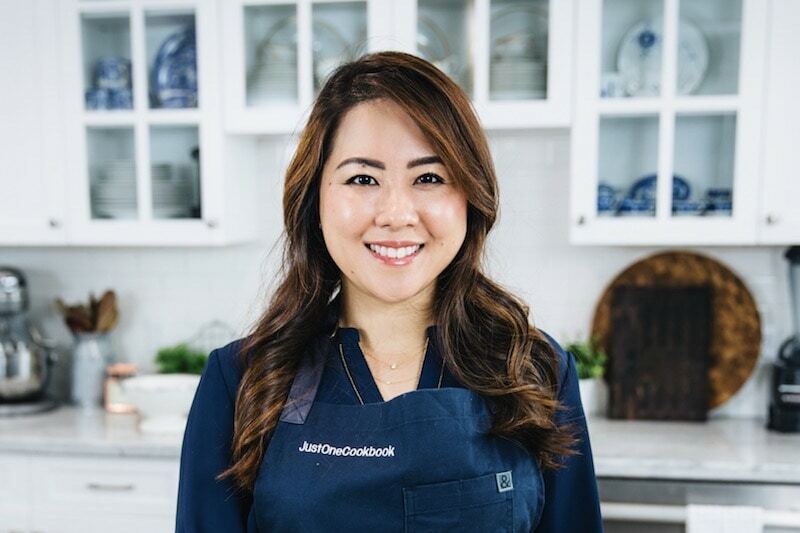 Full Disclosure: I’ve been using miso from Hikari Miso® for over a decade and I’ve been partnering with the company for several years now. 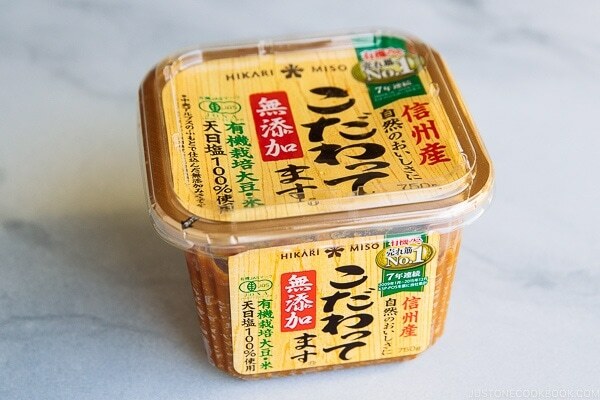 I use various types of miso from Hikari Miso® every day and I truly believe their miso is one of the best tasty miso available in Japan and in the US. For more information about their products, visit HikariMiso.com.